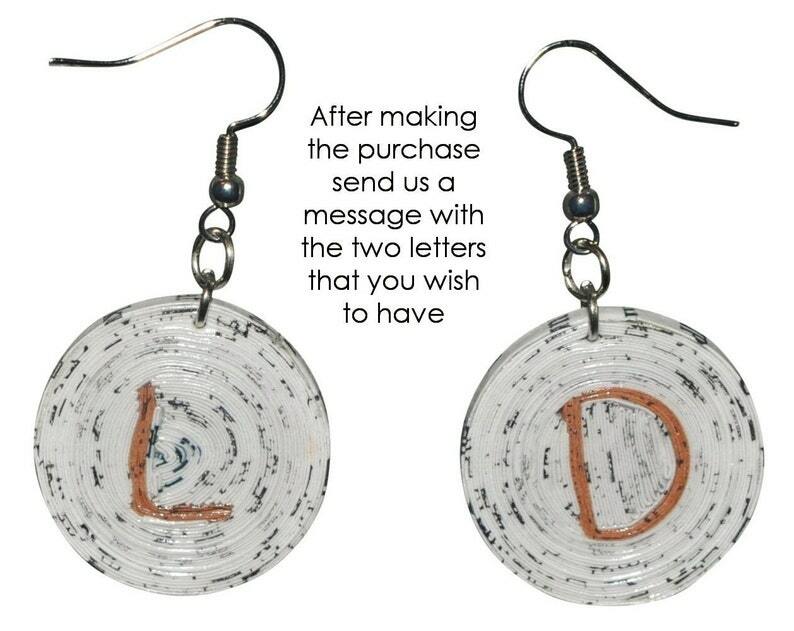 Paper earrings in disc shape with your choice of letters hand crafted on them. Once you make the purchasing, please send us a message to let us know the two letters that you wish to use for the earrings. Made from thin strips of folded office document paper. Very light in weight. Lacquered for protection. Using nickel free hooks that prevent allergic skin reaction.